Joining IMCS Summer School 2017 which was hosted by PMKRI which took place in Flores Island, give me some new insight to see the world from different perspective. Special thanks to International Team Edouard Karoue and Evelina Manola who invited the well versed international speakers. We the participants learnt a lot of things which are very important for our movements. One of the unforgettable sessions is from Stefanie who delivered about MDGs (Millennium Development Goals) and SDGs (Sustainable Development Goals). In this session, she said that MDGs failed to end the poverty and as we know, until now there are many poor people around the world. By 2015, after the failing of the MDGs, now we have SDGs which has similar objectives with the MDGs, which is to end the poverty through sustainability. In MDGs we have 8 goals, as listed here: (1) eradicate extreme poverty and hunger, (2) achieve universal primary education, (3) promote gender equality and empower women, (4) reduce child mortality, (5) improve maternal health, (6) combat HIV/AIDS, malaria and other diseases, (7) ensure environmental sustainability, (8) global partnership for development. Why the MDGs failed? With this interesting question which been asked by Stefanie to the participants, made me think more deeply even up to today. 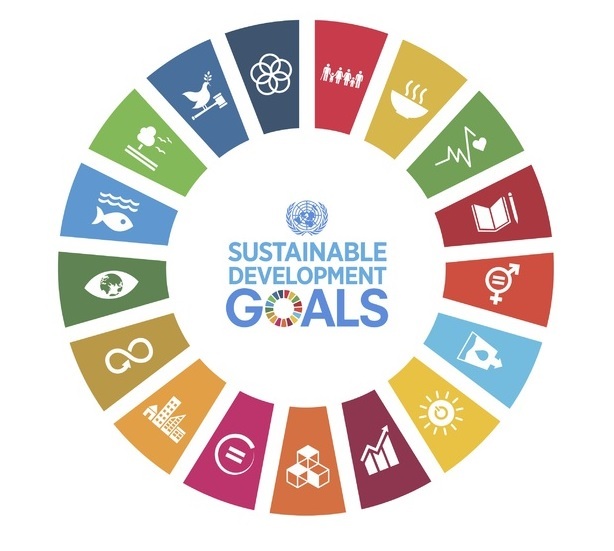 In SDGs we have 17 goals, as listed here: (1) no poverty, (2) zero hunger, (3) good health and well-being, (4) quality education, (5) gender equality, (6) clean water and sanitation, (7) affordable and clean energy, (8) decent work and economic growth, (9) industry, innovation, and infrastructure, (10) reduced inequalities, (11) sustainable cities and communities, (12) responsible consumption and production, (13) climate action (14) life below water, (15) life on land, (16) peace, justice, and strong institutions, (17) partnerships for the goals. Those new goals are just the same with the goals of MDGs. Now let us see the recent situation in the world. The crisis between Israel and Palestine still continue and we never know when the two countries will find the peace between them. The ISIS made people lives under the terror, we never know when this terror will come to us and which will send us to heaven. Currently the issues of Rohingya are in front of us, as we see in our television, our communication gadgets and devices are full of this news. In 2015 the whole world knows about Rohingya refugees when thousands of people stranded in the boat in the middle of the sea. This happen when the Rohingya people from Myanmar flee out of from their country in despair by using boat and traveled to Southeast Asian countries including Indonesia. The United Nations High Commissioner for Refugees (UNHCR) estimates that 25.000 people have been taken to boats from January to March in 2015 by human traffickers. Recently the issue about Rohingya appear again, in form of a deadly fighting between Myanmar’s security forces and a militant group known as the Arakan Rohingya Salvation Army. We got many information from various medias, real and fake media. The wrong information tends to make people react too emotionally without knowing the true situation. Many people think that this is conflict between two different religion, but that’s totally wrong. On behalf of humanity, the crisis in Rakhine, Myanmar, it should get the world attention and humanitarian support should be given to the refugees by giving place to sleep, food to eat and water to drink. Back to Stefanie’s question, “Why MDGs failed?” and to my opinion it failed as there still extreme poverty in many countries and the people in power do not have the political will to address the root cause of poverty, which is greed and power by rulers and corporations. The point I am making here is, with the issue of Rohingya people and SDGs which being discussed extensively, I am saying there will always be “’Rohingya’s” who will be victim of greed and power of rulers and corporations nationally and globally. And it further worsen the situation when other root causes such discrimination, inequality and exclusion of people which is systemically done by the state. As far if there no political to address these root causes, extreme poverty, under development, inequality and marginalization, there will always be the other “Rohingya’s”. In the issue of Rohingya people, the article 16 of SDGs is been violated and to resolve this issue, it not only the government of Myanmar need the political will but also need political will globally which is discussed in the article 17 of SDGs. The recent situations actually tell us that we still have a lot of work to be done; we have to work hard to make the world a better place to live. By the existence of the greedy people who don’t care about the life of others, where someday this situation may be experienced by other marginalized or minority community such as tribes or people of other religion/culture/belief who are vulnerable, if we don’t stand up now to speak for justice and peace. As a member of Catholic University Students or any Young People Movement, let us hand in hand do our best to make it real at least by our small action locally. Study hard, analyze critically, learn some important skills that could improve positively our life, and use our heart. Someday, if you become a decision maker in your country, make the decision that worthwhile for common good of everyone, not only for yourself or your group.